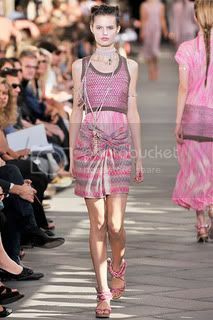 Prints of every assortment hit the runways for the Spring/Summer 2010 shows and has been one of the stand out trends this summer. Designers whipped up everything from digital to floral prints and here we highlight some of the best prints that you'll want to add to your wardrobe! 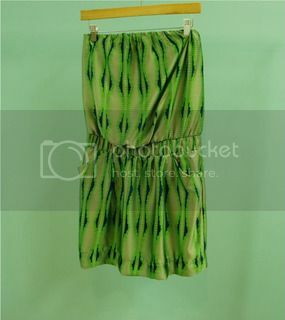 Digital prints: Proenza Schouler brought out prints in bold aquatic hues and prints that resembled reptilian scales. 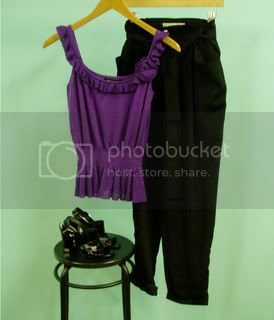 You can get the look with this Collective Concepts dress that will let keep you cool this summer. 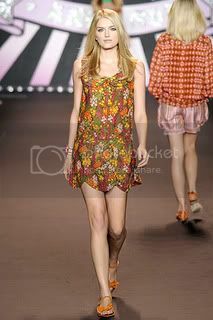 Bohemian Prints: Anna Sui is known for her nod to bygone era's in her designs and her Spring/Summer 2010 collection did not disappoint. 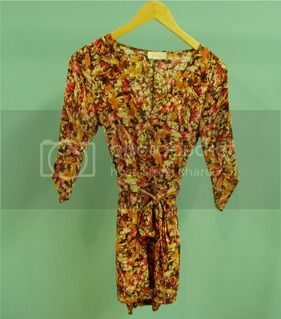 You can achieve the bohemian look with this Haven paisley romper. 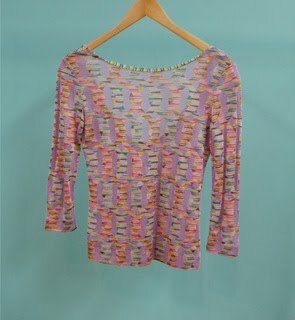 Classic prints: Missoni is a fashion house that is renowned for its namesake print. This season they incorporated their timeless classic into maxi dresses in every hue imaginable. Get the look with this chic low cut blouse that will surely stand the test of trends that come and go. This week's outfit is perfect to keep cool in this sweltering heat! What better way to look stylish and remain comfortable than in this Lilly Pulitzer jacket? An added bonus is that it can be easily paired with a basic white t-shirt and jeans for the weekend. The Vince tank is made of lightweight cotton and should be a staple in your summer wardrobe. The bronze heels have great braided detailing and can work perfectly with sundresses and so much more! This week's outfit showcases pieces that can be worn a multitude of ways. During the day throw on a cardigan to make this look office appropriate. At night cuff the pants and pair with a silk tank but make sure to keep it fitted or you'll risk looking sloppy. The knit tank can easily be paired with a flowy printed skirt and wedges for weekends. The patent sandals can be paired with a pencil skirt or black skinny jeans. Investing in pieces that have versatility is the key to creating a great wardrobe. This week's outfit is perfect for a summer dinner date. 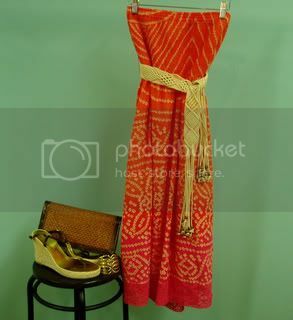 Keep cool and enjoy a great evening in this bright ethnic inspired dress. The wedges have great gold chain detailing and are comfy enough for you to go dancing afterwards!